A couple of weeks ago my sister and I were at the Lifehouse, to watch Barnaby Phillip’s documentary ‘Burma Boy’, which I highly recommend. 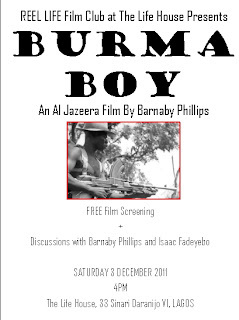 It was about the (mainly West) African soldiers who fought for the British in Burma (now Myanmar). After the documentary we got to have a Q&A with both Al Jazeera's Barnaby Phillips and the star of the documentary, Mr. Isaac Fadebayo – one of the Burma Boys. We got to ask him what inspired him to write his memoirs, which is in the Imperial War Museum for those in the UK. The Burma Boys haven’t been properly memorialised so to be able to meet and pick Mr Isaac Fadebayo’s brain, which was remarkable considering he was turning 86 the next week (we sang him happy birthday), was such a great honour. 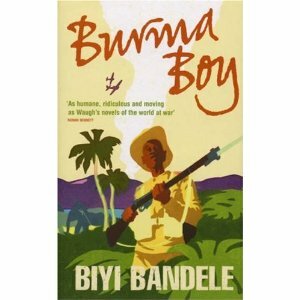 In honour of Mr. Isaac Fadebayo and the other Burma Boy’s, I bring to you Biyi Bandele’s Burma Boy. No spoilers here but through stories from his father, who was also a Burma Boy, and historical accounts Biyi Bandele not only brings to life the forgotten lives of the ‘Chindits’ that fought in Burma for the British in the second world war but introduces the world to the comical character that is Ali Banana. Biyi Bandele offers an interesting and amusing account of these soldiers experience in Burma, and I also picked a few more Hausa words while reading this book.